Percé is a small city near the tip of the Gaspé Peninsula in Quebec, Canada. Eschew the tourist crowds and head to Cap aventure and Kayaking & Canoeing. Explore Perce's surroundings by going to Phare-du-Cap-des-Rosiers (in Cap-des-Rosiers), Bonaventure (Bioparc & Musee Acadien du Quebec a Bonaventure) and Gaspe (Pointe-a-la-Renommee, Musee de la Gaspesie, & more). Spend the 27th (Wed) exploring nature at Parc national de l'Ile-Bonaventure-et-du-Rocher-Perce. 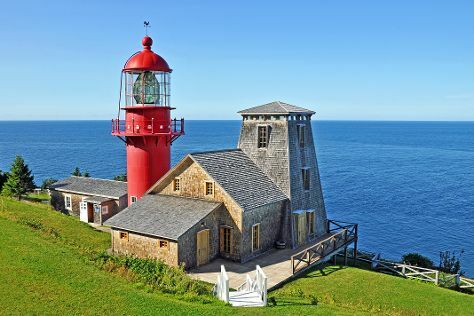 There's lots more to do: have fun at Les Bateliers de Perce, admire the natural beauty at Fermette d'Antan, take in the spiritual surroundings of St Michel Catholic Perce, and look for gifts at "Choco-Lactee". For more things to do, where to stay, traveler tips, and other tourist information, use the Perce sightseeing planner. Halifax to Perce is an approximately 10-hour car ride. You can also do a combination of train and bus; or do a combination of bus and train. The time zone difference moving from Atlantic Standard Time to Eastern Standard Time is minus 1 hour. Expect little chillier temperatures when traveling from Halifax in September; daily highs in Perce reach 19°C and lows reach 10°C. Finish your sightseeing early on the 29th (Fri) to allow enough time to travel to Riviere du Loup. Rivière-du-Loup is a small city on the south shore of the Saint Lawrence River in Quebec. 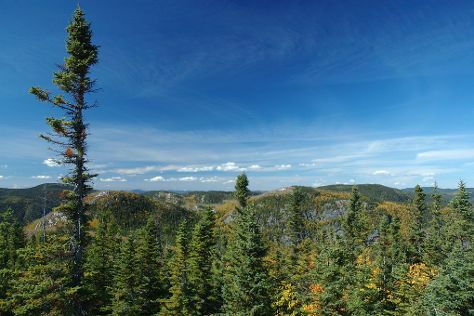 You'll discover tucked-away gems like Nature & Wildlife Tours and Parc National des Grands Jardins. Change things up with these side-trips from Riviere du Loup: Fromagerie des Basques (in Trois-Pistoles), La Malbaie (La Maison du Bootlegger, Domaine Forget, & more) and Edmundston (Centre D'Interprétation des Voies Ferrées: Du Réel au Miniature & New Brunswick Botanical Garden). Next up on the itinerary: look for all kinds of wild species at Ile aux Lievres, explore the stunning scenery at Canyon des portes de l'enfer, do some two-wheel cruising with Route du Fleuve, and view the masterpieces at Galerie d'Art Iris - 2. For reviews, where to stay, and more tourist information, read our Riviere du Loup vacation builder. You can drive from Perce to Riviere du Loup in 6.5 hours. Another option is to fly. In September in Riviere du Loup, expect temperatures between 20°C during the day and 9°C at night. Wrap up your sightseeing by early afternoon on the 10th (Tue) to allow enough time to travel back home.